Wondering what to eat in Venice or where to find the most authentic local eateries? Read on to discover some of the best spots in town. Each year, Venice welcomes over 20 millions tourists who are all keen to see and experience the famous floating city. However, as is often the case with tourist-heavy cities, there are a lot of tourist restaurant traps to avoid. Despite the incredible local cuisines and traditions, many visitors who go to Venice complain of eating overpriced, average-quality food. In actual fact, they’re just going to the wrong places! Once you know where to go, deciding what to eat in Venice is no easy feat. With so many restaurants serving traditional regional specialties all around the city, you’ll be spoilt for choice. 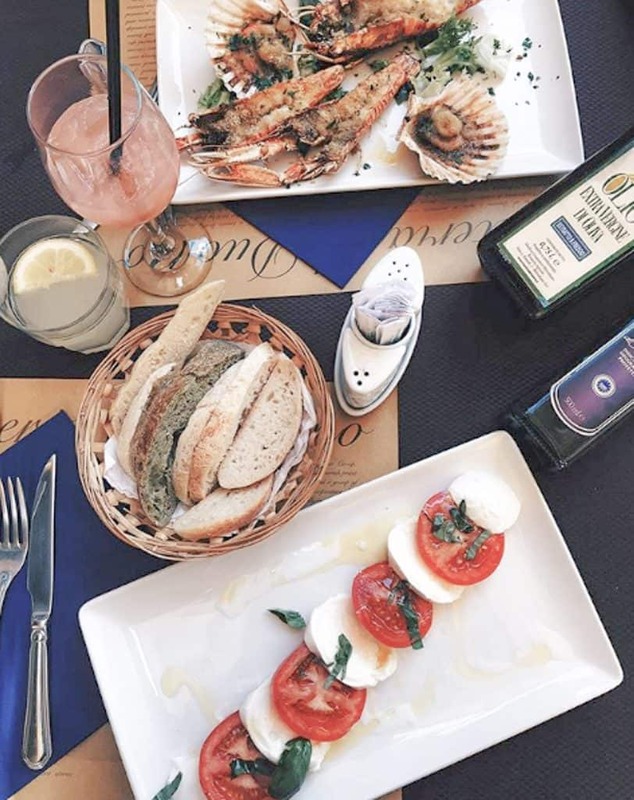 Whether you’re a lover of world-famous Italian cuisine like pasta and pizza, or you prefer to try the local Venetian delicacies, your options are aplenty. Finally, no trip to Venice is complete without a visit to the local ‘bacari’. These traditional wine bars are scattered all over the island, serving cicchetti – Venice’s answer to the Spanish tapas. Bacaris are where Venetians go to unwind and socialise, and they’re the perfect place to spend an afternoon in Venice after a long day of exploring. Firstly, there’s the obvious choice of tasting the gluttonous Italian cuisine we all know and love. We’re talking about a big plate of fresh, indulgent pasta or a heavenly slice of authentic, melting pizza. If just reading this makes your mouth water then you’re in luck. 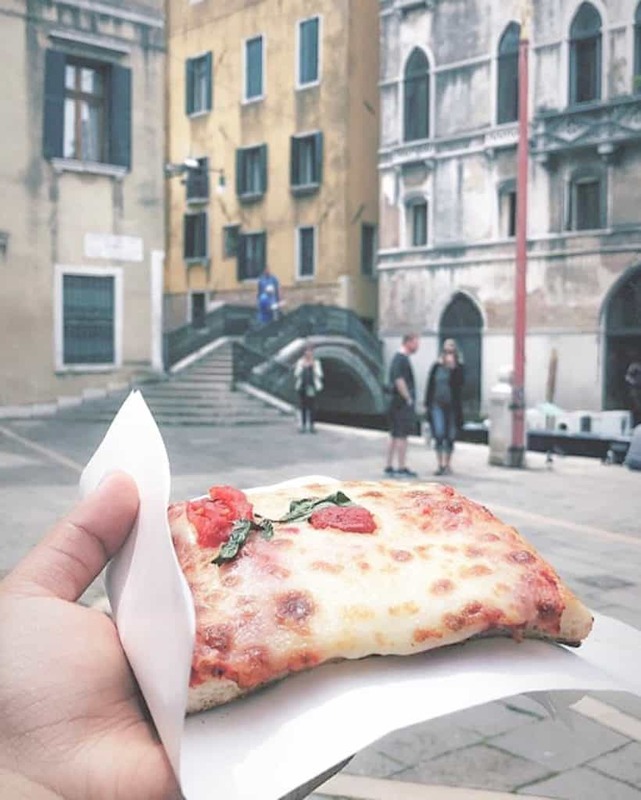 Venice has countless Italian restaurants to choose from as well as some delicious, budget-friendly street pizza bars to try. 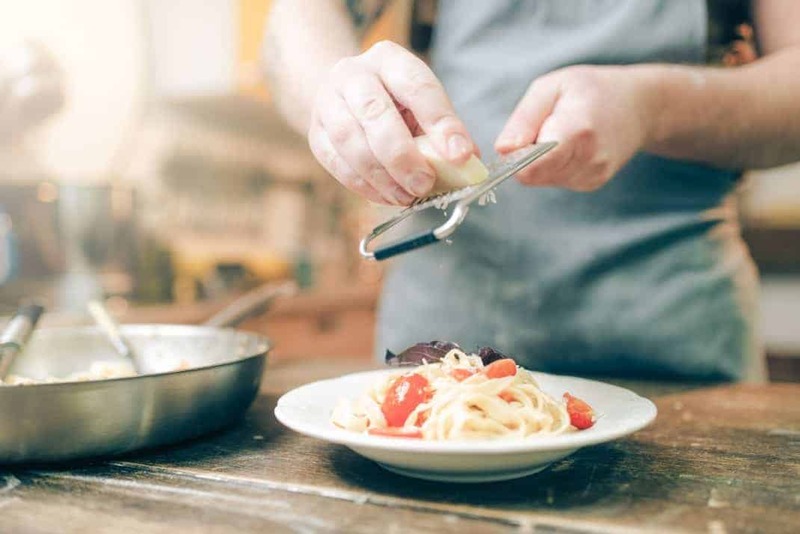 Alongside the more well-known Italian cuisine, Venice also has its very own local cuisine. It’s one that the Venetians are fiercely proud of. Venetian foods include traditional dishes like the ‘sarde in saor’ – a sweet-sour dish of marinated fried sardine fillets. Or the ‘baccala mantecato’ – a fish-based antipasto served on slices of grilled polenta. This is what the Veneziani eat day-to-day and it’s perfect for those who want to experience Venice like a true local. 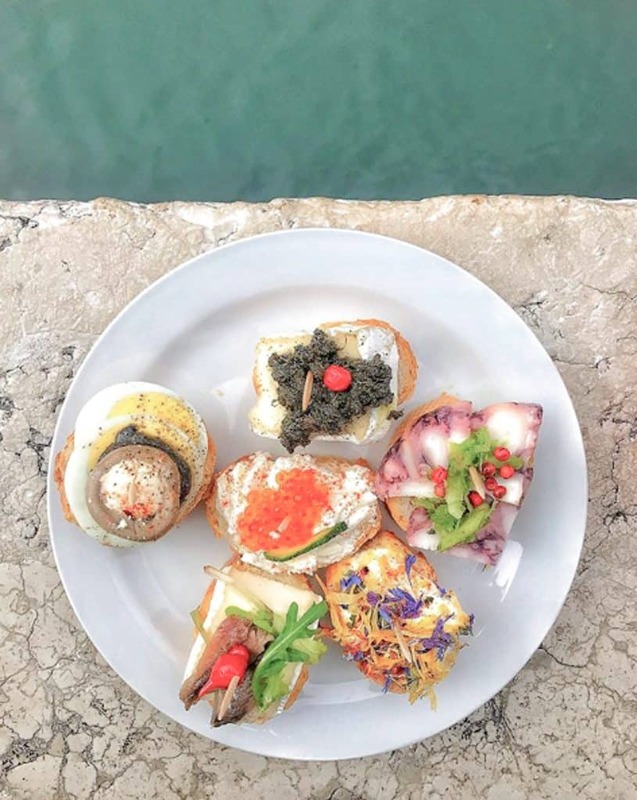 In the city’s famous bacaris (wine bars), you can order some cicchetti – Venice’s answer to Spanish tapas, or Basque Pintxos. It includes everything from mini-meatballs and fried calamari to fresh fish, meats and cheeses. These little bite-sized snacks are best enjoyed with a glass of prosecco or a bellini – another local favourite.